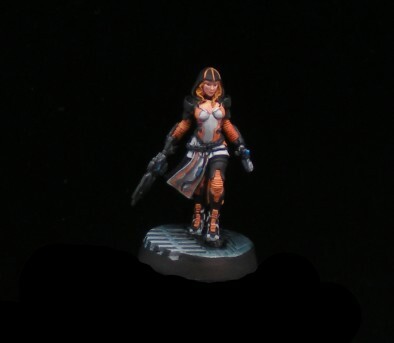 We've got three awesome projects for you to check out from our Hobby & Painting Forum. Each of them has shown off some stunning work and are deserving of Golden Buttons. You can, of course, get your own Golden Buttons. 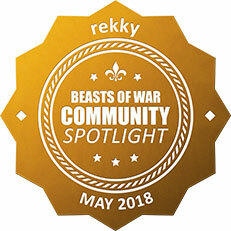 All you need to do is share your work with others in the forums and we might pick you out for a special mention! 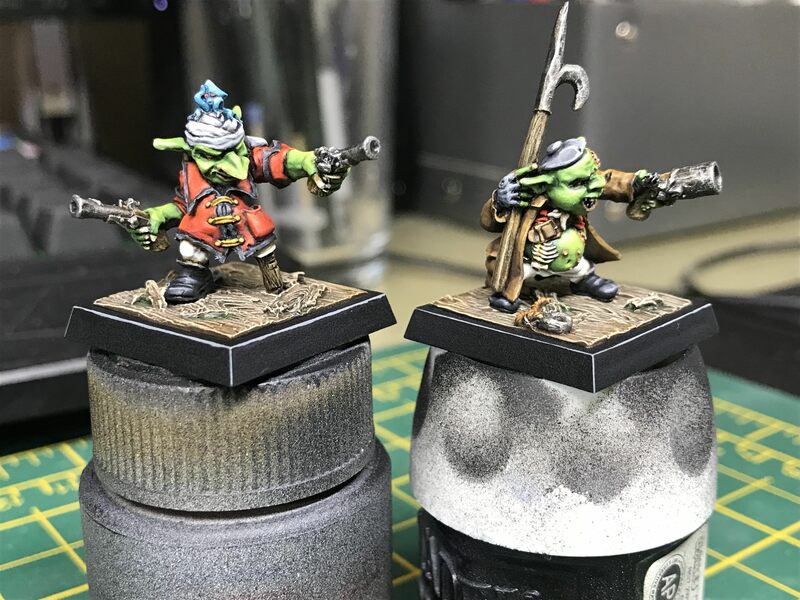 We start things off with something new from rekky who has been painting up these wonderfully character Goblins from Freebooter's Fate. Take a peek. The thing that struck me with these Goblins was just how brightly coloured they were. The skin tones have come across wonderfully and the matching bright clothes also help to complement the model very well. Add to that the rusty and dirty weapons and you've got a very characterful duo here. 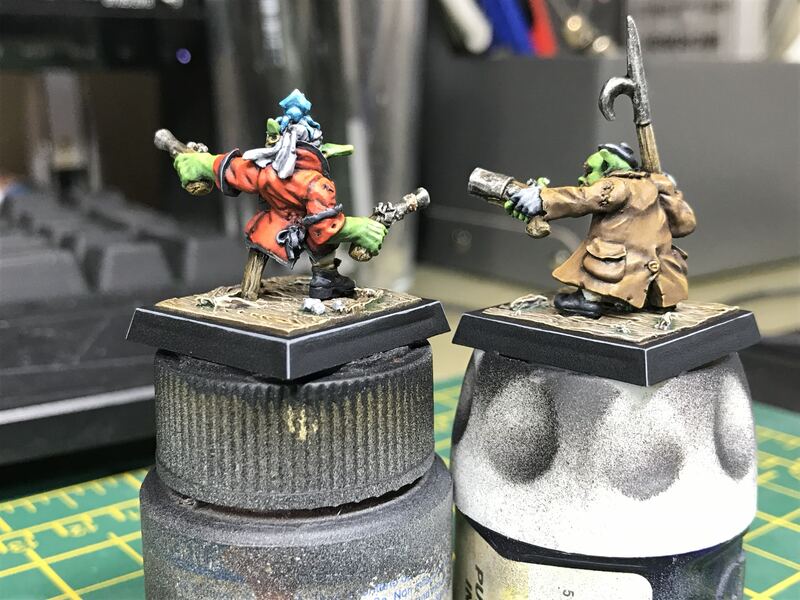 With some subtle shading, plenty of highlighting work and some extra attention paid to the scenic bases for both of these models (all Freebooter bases are scenic to some degree) they really have popped for me. I particularly liked the cheeky chappy look to the Goblin with that pudgy face. 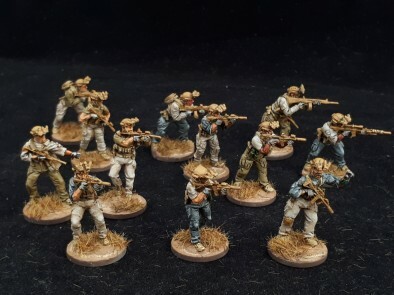 Next up we're looking to the Modern era and some Spectre Operations miniatures. 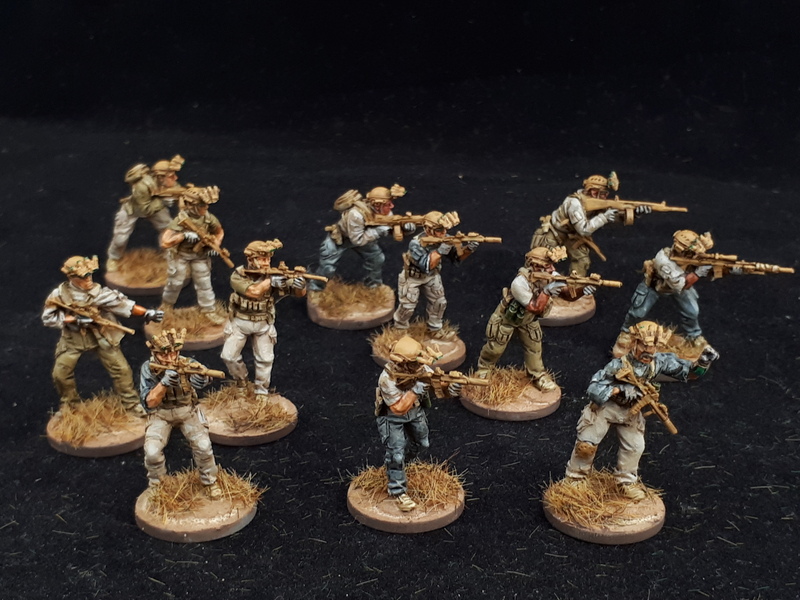 Here we have a wonderful set of models painted up by volleyfireandy who has given them a desert look, perfect for the Middle-East and those engagements. 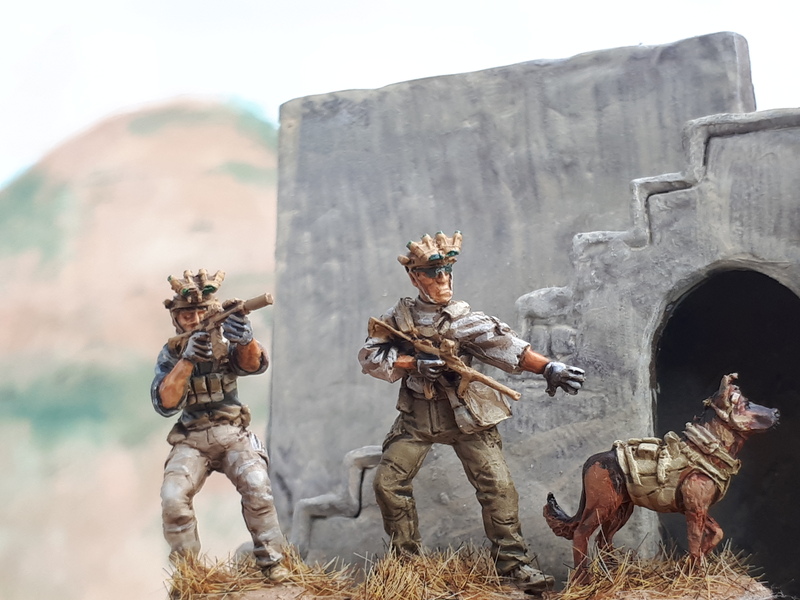 volleyfireandy has actually put together quite a few more of these action-style shots that you see above in his forum, showing off how the soldiers would look on the tabletop. 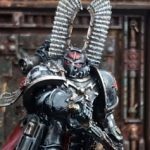 I particularly like the way the basing has been done, which you'll see on some more of the models below, which really echoes the region well. 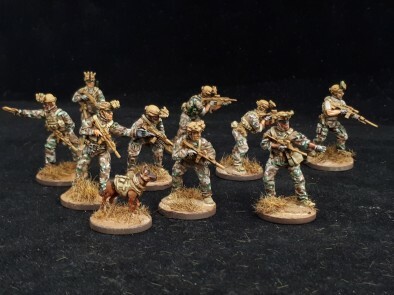 I think in total volleyfireandy had said that he had painted up around twenty of these models and they really do look stunning when you bring them all together like that. 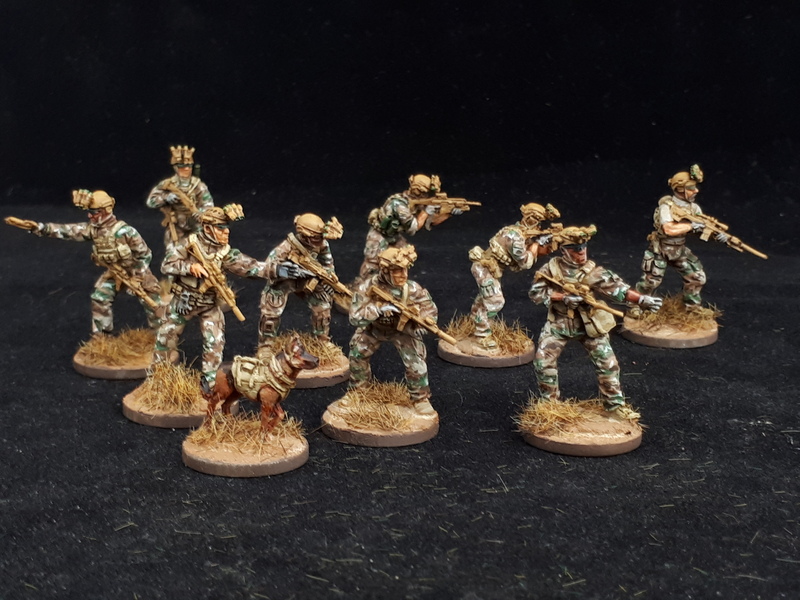 The camouflage is looking spot on and the design of the models, plus all of their kit, can be picked out very nicely indeed. You've also got a mix of styles here with some of them dressed in their proper army gear and others working more as special operatives and mercenaries almost in their jeans and t-shirts. If you're looking to focus more on a Call Of Duty style look that's the range to plump for. 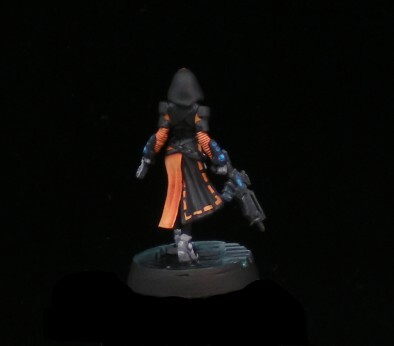 Last but not least we have the Reverend Healer from the Infinity range, painted up here by wildchevy who has been working on models for this range for a long time indeed. The model stood out to me because of its very comic book style. I really like the more solid block colouring to the model and the contrast between the bright orange and the almost pure black. The facial details have also come out very nicely as well, taking on challenges like the eyes and lips with fine detail work. wildchevy is also a painter and member of the site who has been with us for a very long time and it's been wonderfully seeing his skills develop to show off models like this. 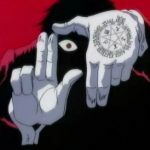 I don't think I would have attempted the line patterning down the side of that cloak there! 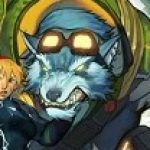 Three more stunning projects. That top pic of the Spectre minis could almost be 1:1 scale modern fighters. Well deserted button’s stunning work people.